The Lawyer-Compliant is fined for frivolous Complaint !! When the Complainant ( a lawyer himself) is saddled with cost of Rs.75,000/- for filing frivolous Complaint against the Doctors !!! The complainant suffered from an ailment of passing blood through urine. which became alarming and painful and thus he contacted one Dr. Balani who advised him to undergo IVP test as Sonography test showed no results. The Complainant could not wait for the Test in one Hospital as there were previous patients and his pains were unbearable and hence he alleged that at the request Opp. No.1, he contacted Opp. no. the Urologist and the Opponent No.2 told the Complainant that no IVP test is required as the pain was only due to kidney stone and for removal of kidney stone, a surgery for left ureteric calculus was performed. 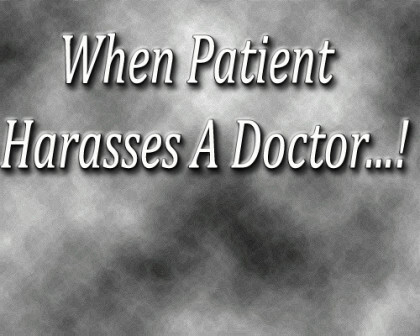 The complainant alleged that when he reached home, he felt restless and therefore finally he was admitted in another Hospital in ICCU treatment of suspected angina, where he was suggested innumerable tests like ECG, sonography and it took 3 months for recovery plus mental agony was separate and all this could have been avoided had the opponent No.2 performed IVP Test and hence the Compliant for compensation of Rs.20 laks !!! The opponents denied the allegations and it was contended that the Opponents had all the state-of-the art Machinery at that time (1999) i.e.most advanced Lithotriptor of West Germany of Dornier Company. It was also contended that the complainant was having agonistic/pain due to stone obstructions he could not stand IVP test and on the blood report test, lithotripsy was performed and Statements about complications arose due to negligent insertion of D.J.Stent were also denied. The Consumer Fora held that the procedure undergone on emergent basis was in the year 1999 and hence the complainant was treated on priority basis, with the help of the then most advanced lithotripter, which gives the live images of kidney and Since the complainant was having agnostic/ pain due to stone obstruction, he could not stand IVP test and it was held that the complainant has utterly failed to prove the nexus between the surgery performed by opponent no.2 with the help of lithotriptor and angina caused to him . Last but not the least.. The Complainant himself is an Advocate !!! Hence the Forum observed, ” it cannot be believed that he (complainant) does not know the consequences of unnecessarily dragging a person into a litigation for years together. 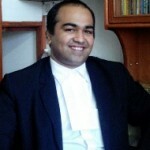 Without being any proof of facts alleged about shortcoming imperfection culminating into deficiency due to alleged negligence at the hands of the opponent no.2, the complainant tried to claim huge compensation of Rs.20 lac to exert pressure on opponents without there being any statement of claim on different heads”. This Judgment is a sigh of relief for Doctors and even though the facts of each case are different, the Doctors may claim such amount of compensation for draggin them unnecessarily to the Courts !!! Amount of compensation is not important, the view against frivolouscomplaintt is important !!! 0 comment(s) on The Lawyer-Compliant is fined for frivolous Complaint ! !